Hey everyone. Thanks for the feedback. We agree with those of you who are advocating a "trial period" for capitals in incursions. In the Citadel expansion we will be adjusting gate restrictions to allow all capital ships into Incursion sites and we will be watching closely to see how this new access is used. Since we know that it takes a while for new tactics to develop, we have set a target for the end of 2016 to do a full review of how capitals in incursions are doing, including a call for more player feedback at that time. Of course if something exploitable comes up between now and then we'll always be on hand to adjust things sooner. For all your 3rd party needs join my ingame channel Blue's 3rd Party! Out of curiosity what were those "well-reasoned" arguments? Imo it's not a good idea. As with all pve it'll be instantly min-maxed(Unless you add a hardcap to the number of capitals on grid), proved to be OP and then left untouched for far too long. Either overkill of dread/carriers on grid, or using FAX and then the possibilty for more damage ships to be on grid, assuming sites have a payout cap similar to the other incursions. It doesn't add anything dynamic to the sites from a gameplay pov, but that may change depending on how it was implemented. You could make capitals count as multiple pilots in the payout calculations, but not actually increase the per-pilot payout for those flying them. So a carrier or dread in an HQ site might count as, say, 6 pilots in terms of the payout scale calculation, but the person flying it would still only get one pilot's worth of payout (45m ISK in low/null) instead of the number of pilots that hull is "worth" by the count (which would be 270m (45*6) ISK). 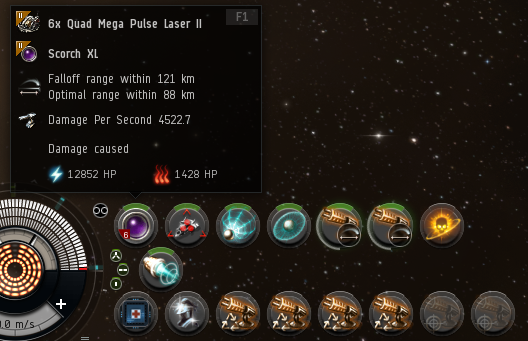 1: Will capitals allow you to insta-blap everything and make 3 trillion isk/hr? No. There may be some gains, but not in game breaking ways because there's limits. Scouts: The payout for these sites is terrible. If you just warped between the sites in a hyper-spacial, nano'ed capital, you couldn't make more then about 50M isk/hr. VGs. Current site times for a "good" group are about 240 seconds sites. About 1/4 of that is taking gates, warping between sites. Hisec groups currently use nano/hyperspacial BS already, and this will warp slower then that. The rats are primarily frigates and cruisers. Caps, even with HAW, won't do a great job of tracking frigates, and those tend to be a bit of a bottleneck in the site speed. In addition to that you have lock time on the 3 waves. There could be some uses, but no "I WIN" button. Assaults: NCN: No one runs NCNs. You need to have T3s, and it's better to just skip them. OCF: Might be mildly useful, but you still have to wait to tractor the cans in. Still a bunch of frigates. But now there's enough romis it might help you do the site a bit faster. Lock time still matters. HQs: Travel distance will be a big limiting factor. TPPH: Hisec groups do these in about 15 minutes. You have to burn ~150km to get to the tower at the end, which is where you can apply a crapton of DPS, but it'll take you ~10 minutes to get there. Normally this is done with MWD'ing BS, and the travel time is one of the big limiting factors. If you think MWD'ing caps will travel faster then MWD'ing BS, then there might be a problem, but I don't think they will. NRFs: Hisec groups normally do these in about 12 minutes. Range is really important. For Waves 1&2, you need to burn ~70km across the grid, shoot crap, then move another 30km for shooting waves 3&4 (details vary depending on how you do the site) You won't be in range of most of the spawns, and a large percentage of your time will be spent burning. TCRCs: You land ~70km from the tower. Good hisec groups can do this site, payout to payout in 7.5 minutes. With the distance you have to travel and the amount of warping, you'll still do sites in about the same amount of time. You won't be able to get to get in range the tower too much faster while having some amount of tank on. 2: Risk vs Reward: In hisec, the number of loses from PvP is very low. I'm a FC for one of the major hisec groups. I get a mail every time they lose a ship, if it's to rats or due to gankers. The number of losses is pretty close to 0. 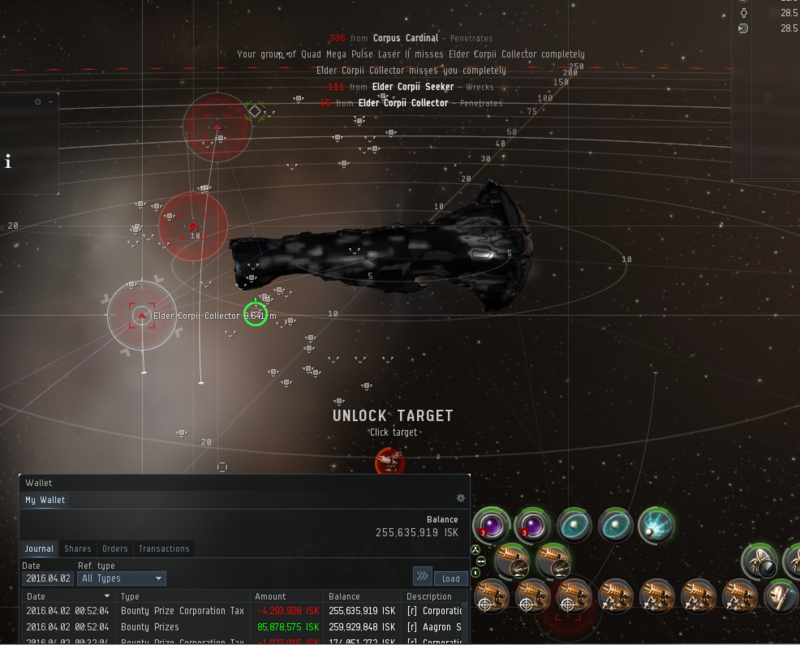 In nullsec, we often lose people, partially because we're bad, and partially due to gankers. We either get camped into station, or run with hostiles in local. We've had a couple times were someone has got us in a good bubble, and had a good chunk of our fleet tackled. I think when that happened, we lost 1 or 2 ships, because we stayed calm, and handled the situation. I'm quite sure, espically after this thread, there will be plenty of people watching for incursions, and trying to find ways to gank us. This is called "content" I'm willing to be your killmail. Give us some rewards for being your favorite killmail. You can find out where we are, we have to stay in the incursion system to run it, so it's not like we're sneaking around doing this. You can setup a trap for us. You can spend some time, figure out a counter to us, and figure out how to drop us. Feel free to, that's how eve is balanced. 3: For people saying "LOL TITANS/SUPERS WILL OWN": Please tell PL where you are ratting in your titan. I'm quite sure they will have a specialist out to help you soon. If you're dumb enough to rat in a titan, you should make a crapton of isk for that short period. You've got to make a lot of isk/hr to be able to cover that hilarious lossmail. 4: Unless the new guns have 10x higher signature resolutions, they will have worse applied damage. Incursion groups are already doing pretty strange fits to be able to hit cruisers effectively with BSs. (My love goes out to all the shield vindies) It will be challenging to find good fits that will apply a large part of the capital damage to all the incursion rats, which have stupidly low signature radii. 5: Siege won't be that great. You'll be pinned ongrid for quite a while, unable to warp to warp to the next site. You might be able to get one siege cycle off, then you're done. There's at least 5 minutes of your site time right there, not taking into account warp-times or getting into position. 6: Capital Triage/logi/whatever: We're already able to hold the grid with T2 logi easily enough. It doesn't really matter if we use T2 logi or capital logi. Except the T2 logi are much more manuverable. I might be able to get away with half the logi I currently need, but I'd be replacing that with a couple DPS, and it wouldn't radically change how the site works. The risk in PVE largely comes from other players, everything else is just a barrier to entry. More capital ships out in space doing ANYTHING is a good thing. I would say incursions weren't really designed for caps, so even though adding them would seem beneficial as a nice option, I lean towards not putting them in there. If you really wanted to allow them in, I'd add sites within incursions that were balanced specifically for caps. That would be more fun for the cap pilots too. That all being said, I don't think it would hurt much to do a timed test case. Try it out for 2 months and see what happens. Review the results and decide to either revert the change or make it permanent. Just stop. Like, it was funny at first but just no. Can you describe a site and a capital ship configuration that you think would be overpowered? You ran one of the hisec groups, so I know you know the sites really well. Can you describe a way to get a capital to go much faster then they are done in hisec. Yes, you'll get some DPS, some site speed improvement. But any in a breaking way? The new capital guns aren't going to do dps like they used to. Dreads will still have their siege timers. Carriers won't be able to remote rep, so they won't be logi+dps rolled into one. They'll be slightly higher dps, but drones take time to travel to apply their damage. This would be the only way it would make sense, as far as I can tell. 7: Hisec groups have a massive pool of pilots to pull from. Nullsec groups don't. Adding in a bit of speed still won't make it overpowered compared to hisec. It's easy to keep a fleet of 40+ pilots running non-stop in hisec, often there's 3+ HQ groups running at any one time, and 10+ more VG groups, so there's a large player base to pull from. Nullsec doesn't have that, so you are not going to get huge numbers that you'd need to be able to get vastly better site times. When we run, a good bit of the time, the pilots have never flown a BS before. The odds of having 60+ perfectly skill pilots for whatever configuration you want to run in isn't near as likely. Plaid, I wouldn't think the dps is the problem. I think the massive difference in carrier HP + repping abilities of the FAX'S is what would break the sites, as the NPCs were not designed to deal with it. 1:Will capitals allow you to insta-blap everything and make 3 trillion isk/hr? No. There may be some gains, but not in game breaking ways because there's limits. The rats are primarily frigates and cruisers. Caps, even with HAW, won't do a great job of tracking frigates, and those tend to be a bit of a bottleneck in the site speed. You can setup a trap for us. You can spend some time, figure out a counter to us, and figure out how to drop us. Feel free to, that's how eve is balanced. You've clearly not met Outuni's & Niarja's and the DPS that happens within NRF last waves / TCRCs and The kundi site. There's a couple arguments:The rats are primarily frigates and cruisers. Caps, even with HAW, won't do a great job of tracking frigates, and those tend to be a bit of a bottleneck in the site speed. In addition to that you have lock time on the 3 waves. I think you may be underestimating carriers. They can lock super fast with a Networked Sensor Array, and fighters are pretty effective against cruisers. Frigates could still be an issue, but surely with a group like that you'd have someone to paint and web targets. Carriers might have issues with their fighters getting owned though, depending on how much the rats want to target them. Skyrider you're saying that there will be more pilot deaths as a result of capitals being added to the sites or less deaths? That these sites will be as hard to do as they are now even with the massive differences between caps and subcaps? Why do people want caps in incursions in the first place? Because they want to fly capitals more? Sure. I want reasons to use caps more as well. But let's not pretend that it won't make incursions easier. Like I said earlier though, let's try it and see. I could be wrong, it's just a prediction, and if it works out that caps don't break the sites, then awesome.